Factory German Heckler and Koch HK MP5 A2 fixed stock. 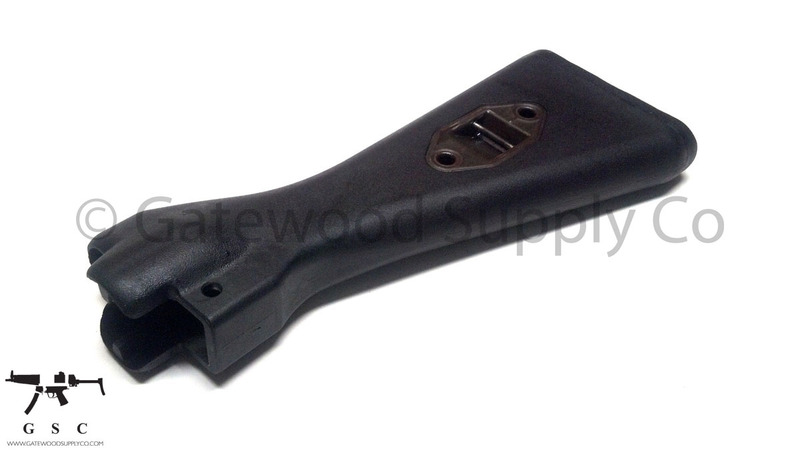 The A2 stock has a polymer body metal backplate and is compatible with the HK MP5, HK MP5SD, HK MP5-40, and HK MP5-10, as well as the HK53 and HK93 with buffered carriers. The stock might have some police department marks with paint or small letter scratches. Some units have a date code and some have a box, but all are German A2 Stocks and not a US-made clone or contract stock. Also, all units have the integrated sling plate. MP5A2 stocks always sell out quickly so grab one while available!